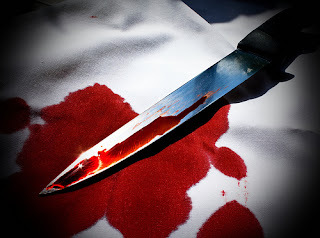 A middle-aged woman (name withheld), has been allegedly gruesomely murdered last Saturday, by a man who’s name was given simply as Sunny, at Agbor, Ika South local government area of Delta state. The victim was said to have been ambushed by her assailant who is currently being detained in police custody, for about two days at the particular spot along Agbor-Sakponba Road, where he dragged her out of her gray coloured Toyota saloon car and descended on her. According to a source in the community, the victim was going to attend a burial ceremony at Oki on the fateful day before her assailant snuffed breath out of her. “The murderer was so callous. The suspect used cutlass to cut her ear, stomach, buttocks, back, laps and spread her legs on the road, exposing her private part. We have never seen a thing like this before,” the source said. The source noted that the shout of the victim attracted people to the scene but that their intervention came too late. “When the mob gathered and saw the lifeless woman in the pool of her blood, they attacked the assailant who was still holding his blood stained cutlass. They even broke his head before the police came and took him away,” the source said, adding that, the intervention of policemen saved the assailant from being killed by angry mob.